You are here: Home / Mold / Can Water Damage Cause Mold? Mold spores exist all throughout our environment. However, they will only grow in areas which have a lot of water and organic matter. The interior of our homes is filled with organic matter such as flooring, furniture, walls, rugs, and carpets. Once any of these materials become wet, that is when mold will start to grow on these materials and spread throughout your home. Thus, water damage will cause mold to form in your home. Water damage is something that needs to be taken care of immediately. If any of your organic materials already have mold growing on them, it is unlikely that they will be salvageable. The best thing that you can do is get rid of those affected materials right away because they are ruining the air quality of your home. Do not forget that mold spores can travel through the air and cause respiratory issues. You need to remove all the mold-infested materials from your home and open all the windows to circulate fresh air inside. Of course, if you still have a water leak then you need to locate and fix the cause of the leaking before additional mold spores grow larger. You will certainly recognize when mold is present because it will leave a musty smell in the room. Even if the mold is not visible, you can use your sense of smell to detect it too. In this case, it is best to use a dehumidifier in that room to remove the moisture in the air and prevent the spores from growing any further. Meanwhile, you should investigate the entire room to pinpoint the location of the mold and then remove it. The concept of mold growth is very simple. 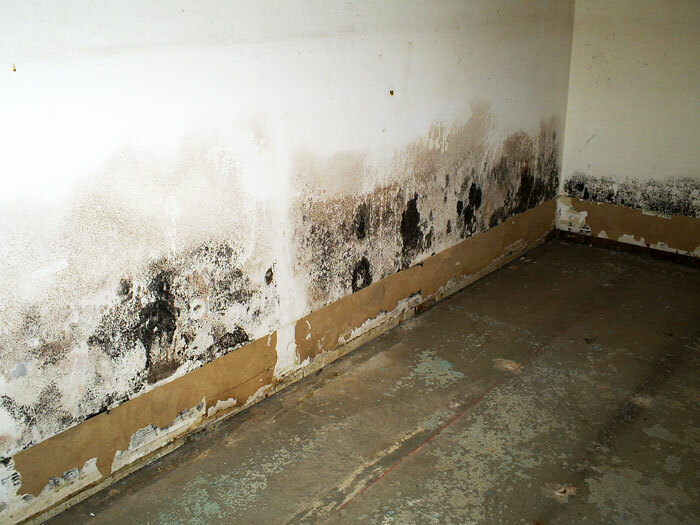 Water invading your home increases the likelihood mold that will form. If a house becomes too flooded with water, the damage will likely be so severe that the home itself will no longer be livable. Even if you are able to remove the flood water and dry out the home, the structural damage from the water and mold will be so extreme that it cannot be repaired. In most situations, water damage will not cause entire homes to be flooded. This is only something that would happen after a major hurricane or rainstorm, like what Hurricane Harvey did to many homes in Texas in 2017. If you have water damage, then it is likely caused by a leaky roof, burst pipe, sewer backup, or some other localized problem. As long as you address the problem quickly, you will prevent excessive amounts of mold from spreading throughout your home.